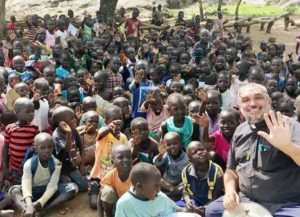 In a year of their presence in the Palabek refugee camp in Uganda, the Salesians have already won the trust of the people, especially women and children, fleeing the war in South Sudan, bringing with them nothing but the clothes they had on, people who only dream of returning to their country in an atmosphere of peace. As in the case of the Kakuma refugee camp in Kenya, the Salesians are the only organization that resides permanently in the camp and Don Bosco is already a moral authority for the refugees. The area is about 400 km2 of forest that is destined to accommodate about 150,000 refugees. The generosity of the Ugandan government with the people fleeing the war in neighboring South Sudan has led to numerous refugee camps, but also to various other forms of support and attention, such as issuing work permits in Uganda for those who leave their past due to violence. Since the beginning of the year the Salesians have been offering a direct response to these refugees. 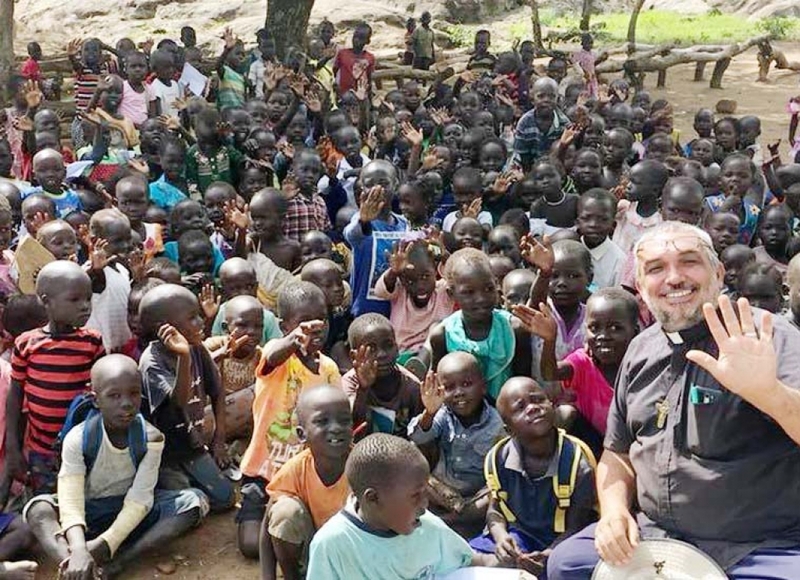 A first expedition of four Salesian missionaries live in the Palabek camp, trying to instill hope, accompany the families and offer education and technical formation to the little ones, who arrive practically without anything after escaping on foot and clandestinely from South Sudan. “They are doctors, engineers, lawyers … These young people have great potential and accept all the activities that are offered to them, but unfortunately in the camp they all have the same title: refugees,” reports Fr Ubaldino Andrade, Salesian missionary in Palabek. The Salesians work with the more than 42,000 refugees in the camp, but also with the population of the neighboring villages. Their intention is to build a vocational training center, why they bought a plot next to the 30-hectare field. Don Bosco Network members and Mission Offices support financially this great initiative. In this short span of time the Salesians have become a moral authority in the camp, for their proximity to the refugees and by the organization of small chapels that already function as schools for the smallest children. The refugees build their houses on a 30 square meter lot, where they also have a small vegetable garden. Access to drinking water and the training of refugees to increase the productivity of these gardens are some other short-term goals of Don Bosco’s spiritual Sons.